You've nearly finished your cabled project and hold it up to admire your handiwork. It's only now you realise with mounting horror that way down from where you are currently you have a mis-crossed cable. Nobody else will notice, but you know that every time you look upon your work it will be all you see. Do you rip back and remove hours of work? Do you live with it? Can you live with it? In fact you don't have to answer any of these questions. There are a few tricks at your disposal to repair the mistake. With each, there is a risk that something might go wrong, but if you were going to rip back anyway, you've nothing to lose. One way is to drop the column of stitches that form the cable, cross the cable correctly, then pick the column back up again. 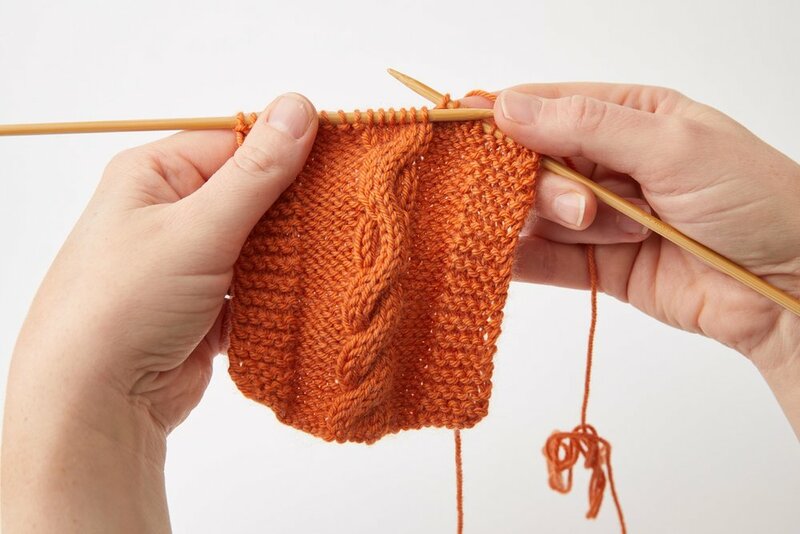 If you don't want to drop your stitches, you will find alternative methods to correct or even hide your mistake that you'll find inside Something New to Learn About Cables. Whatever you choose, you can be confident that there is a fix to your problem. Now you know that, of course you'll never make a mistake again!